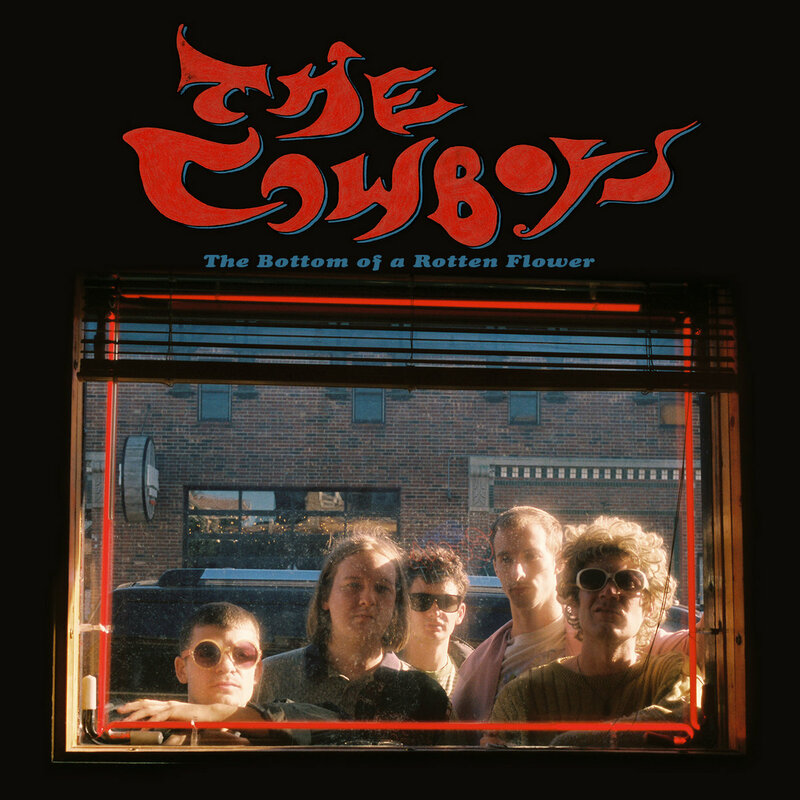 The Cowboys’ first single, “Some Things Never Change”, off of their upcoming album, The Bottom of a Rotten Flower, opens with a keyboard hook that reminds us why we use the word at all (it sinks into your brain and reels you in, if you didn’t already get the picture). A simple, two-chord guitar and bass line backed by a surf beat propel the song forward, reminiscent of the early punk and garage rock bands of the 1960s, and giving new meaning to the song’s title. The chorus introduces a playful tone, drawing on a chord progression used heavily in early rock and roll and Doo-wop. Keith Harman adopts a more nasal singing voice than in the band’s previous work, giving a snotty edge to a playful single that makes you want to both spit on the floor and dance. The song is an ode to the love-hate relationship we have with our hometowns, old hangouts, and crowds. We’re brought to a familiar place to both remember why we love and miss it in the second verse, and why we hate it and left in the third. Sometimes “absence makes the heart grow fonder” only fools us momentarily. A mid-song key change keeps you on your toes, elevates the intensity, and separates the lyrical dichotomy: “Deep in the distance, I have learned to love this place”/ “Goodbye you savages, I remember why I left this place”. The Cowboys pack all of this into a quick minute and 44 seconds, leaving you eager for more (maybe another listen or two). I can’t help but compare this song to countless musical greats: the early punks (e.g. the Ramones, DEVO, Buzzcocks), early Rock and Roll/Doo-wop (e.g. Elvis, The Beach Boys, the Duprees), and modern punk/garage/rock and roll (e.g. Nobunny, Hunx and His Punx). Combining all of these influences, however, The Cowboys create something fresh. It manages to feel old and new at once, giving an obvious nod to their influences, but filling a unique (and much needed) space in contemporary music. We’re looking forward to hearing the whole 16-track record out February 14th, 2019 on Feel It Records. In the meanwhile, you can stream “Some Things Never Change”, and the second single off the album, “Now With Feeling”, on Bandcamp, as well as check out the band’s awesome (and extensive) back catalogue!